Roambi Pulse View gives you all your most important KPIs on one beautiful dashboard. Roambi Announces Cross-Platform Expansion, Brings Popular KPI Dashboard to iPhone, Android, and Windows 10 Users -- Roambi's Pulse view brings the pulse of your business to the palm of your hand. One of the primary challenges faced by workers who spend their day out in the field rather than behind a desk is accessing the data and metrics that they need. To address this problem, Roambi, a mobile data visualization and publishing company, has announced that its Pulse view, a "mini KPI dashboard," is now available for iPhone, Android and Windows 10. Pulse is Roambi's second most popular data visualization report, and was previously only available on the iPad. This cross-platform expansion is part of Roambi's ongoing effort to provide more value for customers who move fluidly between devices while doing business during the course of their day. 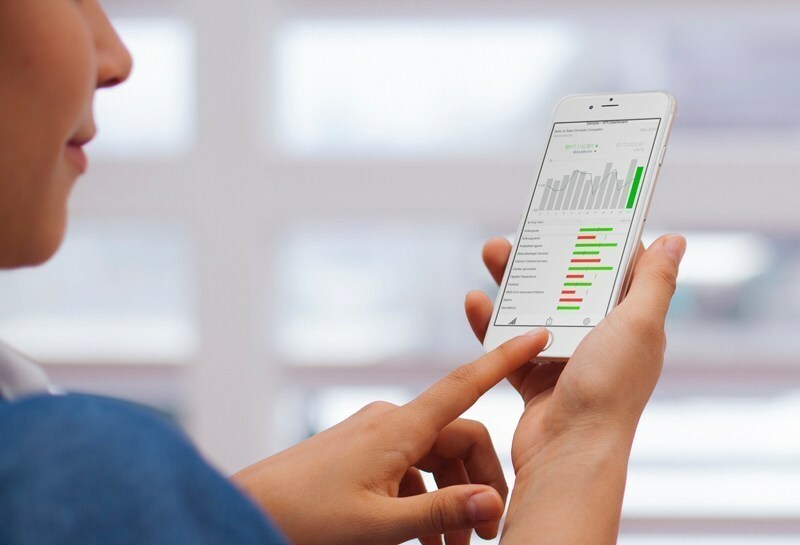 "Our Pulse view is a best-in-class mobile dashboard that visually details relationships between KPIs over time," said Quinton Alsbury, Roambi CEO. "Bringing Pulse to new platforms was the next step in our strategy to make sure our customers can always access their data, regardless of the device they are using." The most common use case for Pulse is comparing a current sales period to a previous period, or current quarterly sales compared to goals. Additionally, Pulse performs instant calculations to display numbers both in aggregate and percentage formats. "Sephora uses Roambi to structure our reporting so that it's simple for anyone to see how the business is performing," said Anthony Pristyak, Director of Retail Operations at Sephora. "Pulse is one of our top-used views, and it helps our store leaders track performance, while staying engaged on the sales floor where they're needed most." From the very beginning, Roambi was created to be mobile first. 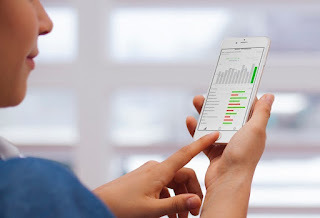 The product is designed to let users visualize and share their reports on any screen, and dynamically interact with their data with the unique, touch-based attributes of mobile phones and tablets. The company's latest cross-platform expansion continues that tradition. Visit www.roambi.com to learn how Roambi Analytics™ can bring your data to life. Roambi is a mobile data visualization and publishing platform that redesigns the way the world interacts with data. Backed by Sequoia Capital, Roambi makes it simple for anyone to view, interact with, and share data anytime, anywhere. For more information visit www.Roambi.com, or download Roambi via the iTunes App Store, Google Play Store or Windows Store. 0 comments on "Roambi Pulse view, a "mini KPI dashboard," is now available for iPhone, Android and Windows 10"